Perfect for your hospital bag these little bootees are ultra soft and cosy in pure cotton so baby's snuggled up nice and warm! Baby bootees in bouclé knit 86% cotton, 12% polyamide, 2% elastane. 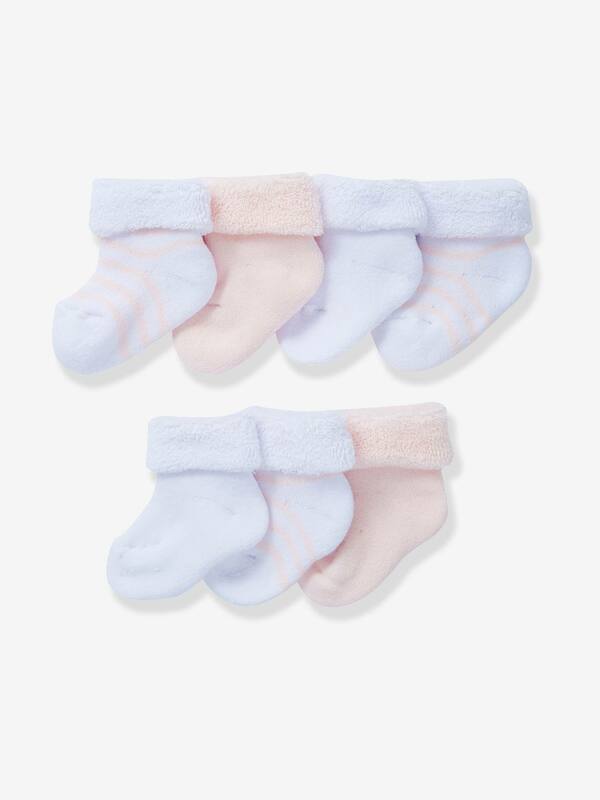 Keep your little one’s feet and toes cosy and warm with our adorable collection of baby socks. Available in a broad range of colours and styles, our socks will add the perfect finishing touch to any outfit, from everyday casualwear to smart occasionwear. We also have a range of tights for baby girls, available in packs of 2 and 3, as you can never have too many!